Sometimes speakers (in politics, religion, and other public venues) forget the power of their words to move an audience. Sometimes they capitalize on it. Words strung together to project a thought or an idea–they have meaning. Words have permanence. And words, misused or abused, will sometimes swing right back around and smack the speaker in the mouth. Words have meaning. A few years ago George HW Bush made a promise: “Read my lips: No new taxes.” When shortly thereafter he raised taxes, his recorded words proved that he had not carried out his pledge. That broken promise effectively lost his chance for reelection. How do we know it was a promise? He used the emphatic: Read my lips. He didn’t need to say “I promise you.” His emphatic rhetoric, “Read my lips,” was his vow. And the country knew he had broken his promise. Emphatic rhetoric can take place not just with words but also with physical gestures. 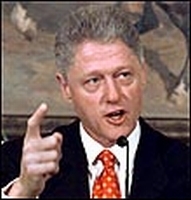 Bill Clinton pointed at and looked directly into the cameras, and jabbed his finger with every sentence: “I did not. Have sexual relations. With that woman.” His physical gestures, along with the emphasis he made as he spoke (including the fact that he effectively looked us in the eye), implied a promise or a vow, almost daring the reporters to prove him wrong. As the world knows, he had lied to the American people, and he was impeached not long afterward. He lost credibility, and he is now a joke among late night TV hosts. His reputation is forever tarnished. 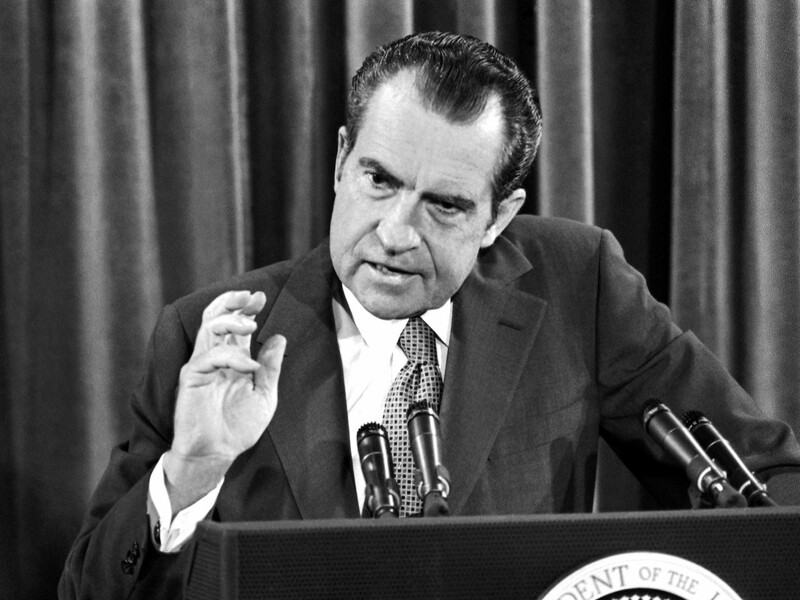 Richard Nixon, like Clinton, looked into the cameras and made his famous avowal: “Let me be perfectly clear.” He averred that he was not a crook. As the world found out, Nixon was up to his eyeballs in the Watergate scandal. He left the office of the president shortly thereafter. He too is a byword; his name will forever be associated with the scandal he launched. Promises are made with the use of the emphatic, and they can be words alone, or words and gestures together. We as the audience understand the emphatic. We remember it. We hold the speakers accountable to it. The use of the emphatic “period” is what has ensnared him. He cannot get away from it. The “period” was his promise. His audiences saw it as his pledge to them, and they held him to it. Upon finding out that they indeed could not keep their plans or their doctors, Americans registered their outrage. The president’s reputation, and his opinion polls, have been on a downward spiral since. Not only did he break his promise, but documents are beginning to show that he knew this was a broken promise a couple of years before his health care law was launched in October of 2013. Yet he continued to repeat the pledge time and again. Don’t make the mistake of thinking that this emphatic promise was a mistake, that he misspoke. Presidents do not often make impromptu claims or commitments, and certainly not 26 times in a space of three or four years. Whether his supporters want to agree or not, he made a pledge–a promise–using the language of the emphatic, and he cannot excuse it away. He also cannot, as he tried in the weeks afterward, “unspeak” his promise, or re-interpret it. In an age of video recordings available to anyone, anytime, people can see the speaker and hear his words for themselves; the promise cannot be erased. The use of the emphatic is intentional. The speaker does not have to say “I promise” for it to be understood as a guarantee. The speaker pledges his reputation on such an emphasis, and the audience reads it as a serious promise. Jesus used the emphatic with his “verily, verily I say unto you,” also translated as “truly I say to you.” He effectively said to his hearers, “listen up: what I am about to say is true.” He did not prevaricate; he did not equivocate. What he said could be taken as true because he led up to it with such a pledge. The fact remains that people will believe you if you use emphatic rhetoric, both in word and in gesture. God’s word reminds people to take words seriously. “But above all, my brothers, do not swear, either by heaven or by earth or by any other oath, but let your ‘yes’ be yes and your ‘no’ be no, so that you may not fall under condemnation” (ESV, James 5:12). In other words, understand that the implied promise of the emphatic word or gesture will be taken as truth, and you have staked your reputation on it.